The seminar/workshop provided as part of FEVA’s cultural offerings, will take place next Friday October 17th and will be run by Ricardo Basterra. The event is part of the projects that the Basque club has lined up and that also includes an activity on Basque sports that will take place in 2015, among others. In the meantime, the club has strengthened its membership and after celebrating San Ignacio with more than 200 guests, it is also planning on attending the Semana Nacional Vasca in La Plata. Roldan, Argentina. 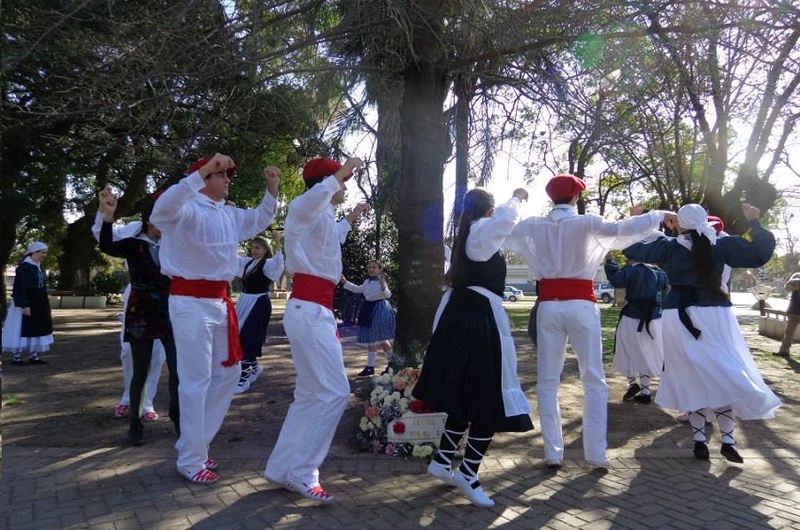 Located 25 kilometers from Rosario, in the province of Santa Fe, the city of Roldan has a brand-new Basque club, established last May called Euskel Biotza. They are now inviting businesses and local institutions in the area to participate in a Seminar/Workshop to train managers and work team leaders, provided by Ricardo Basterra, FEVA representative, on Friday October 17th. The event will take place in the exhibition hall at the Roldan Station. Even if the club was recently formed, in May, the local Basque community has a long career of working for the Basque culture. That is why it was no surprise that on August 3rd that the San Ignacio celebration gathered hundreds of people. According to Gabriela Menghi, one of the club’s biggest promoters, the festivities began on the Plaza San Martin where a wreath was laid at the Gernika Tree Sapling, in honor of the Basques who has passed away during the year. Next, guests moved to the hall to have lunch and to see the debut of the children’s dance group made up of kids from the ages of one and a half and nine years, and adults between the ages of 35-65. “Even if the dancers began this year, the groups continue to grow,” Mengui explained to EuskalKultura.com. and added: “We also did an Arku Dantza, at the event that included four brothers that have been dancing since the club began, with two of their sons, and a grandmother with her granddaughter…All of them together doing the same dance, adapted so that they could all dance, it was a very emotional moment. We also invited the audience to dance, so that they could also see how to do the dances, instead of just watching them,” Mengui said. Besides the successful San Inazio celebration, the new club also hosted Magdalena Mignaburu, Fernando Lizarbe and members of the Manuel de Irujo Institute in Argentina. The goal of the visit was to present the book La Patria Vasca en Argentina that was also held at the exhibition hall in Roldan. After the presentation, author Mignaburu responded to questions and autographed books.